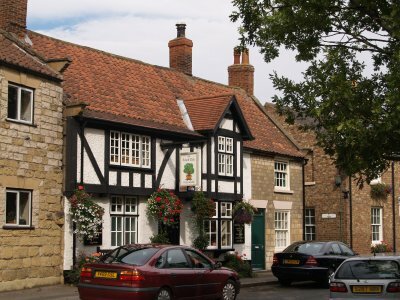 The Wentworth Arms (above) and the Royal Oak pub (below) on Town Street, both well worth visiting for their food and drink. 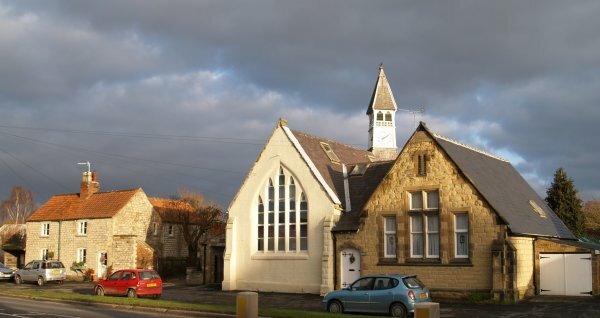 The old village school has now become Classroom Cottage! 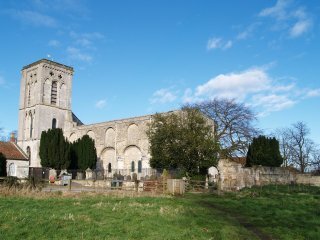 The magnificent west front (~AD 1200) of St Mary's Priory Parish Church, the remains of the Gilbertine Priory founded ~1150. 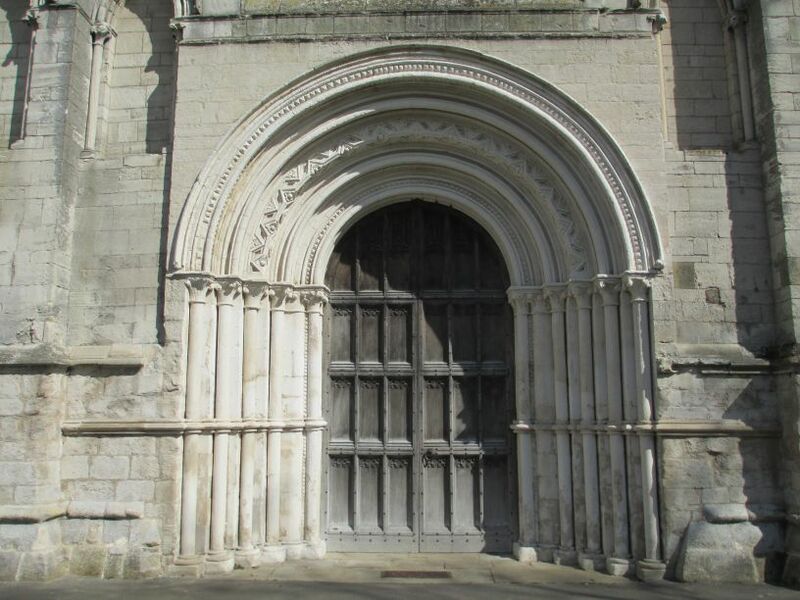 The great west door entrance to St Mary's Church with an arch of five orders of colonettes and leaf-crocket capitals, which has now been fully restored (see new picture in 2013 below!). 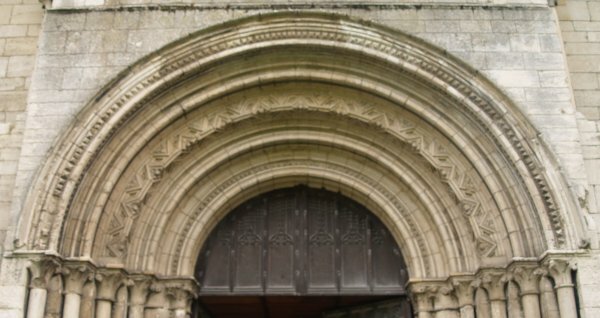 Details of the carvings and mouldings of the west door - which Pevsner describes as 'sumptuous' - see the restoration work above. 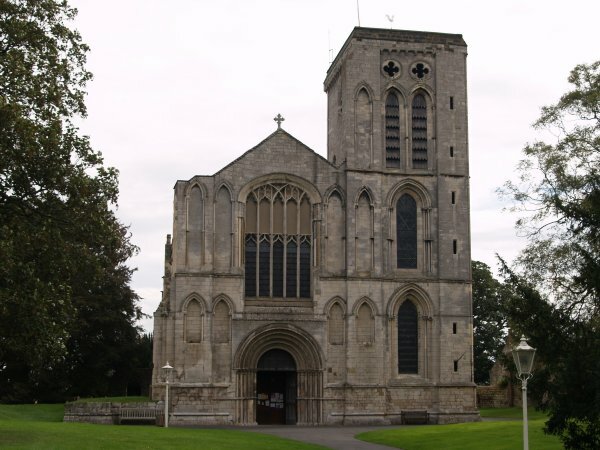 St Mary's Priory Church, Old Malton, viewed from the river side. 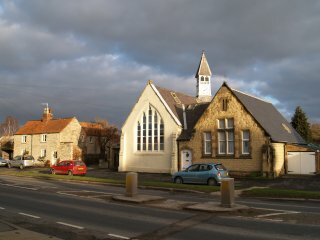 The splendid church's origin derives from the Gilbertine Order founded in about 1131 by Saint Gilbert of Sempringham in Lincolnshire, though many of the associated buildings have not survived the ravages of the dissolution of the monasteries (late 1530's) and the need for stone in 'old' and 'new' Malton. 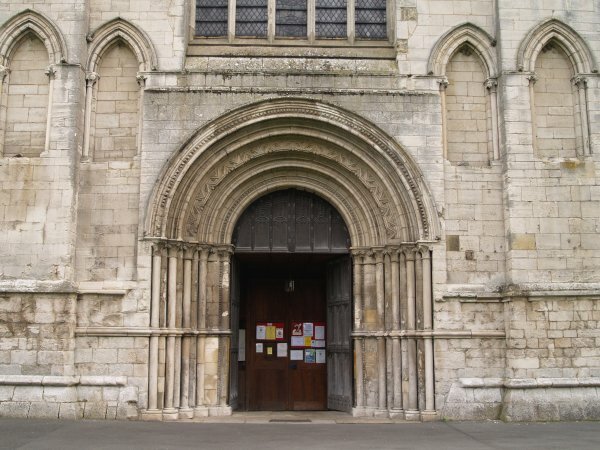 The traces' of arches on the south side once separated the nave from aisle. 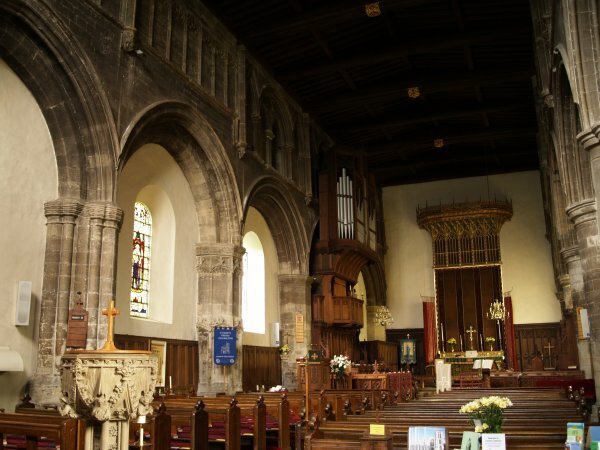 The arches of the nave without any aisles of St Mary's Church! 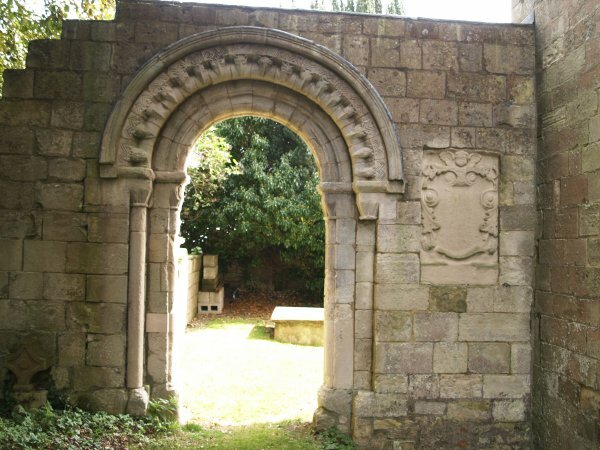 The Norman arches of the triforum rest above them. 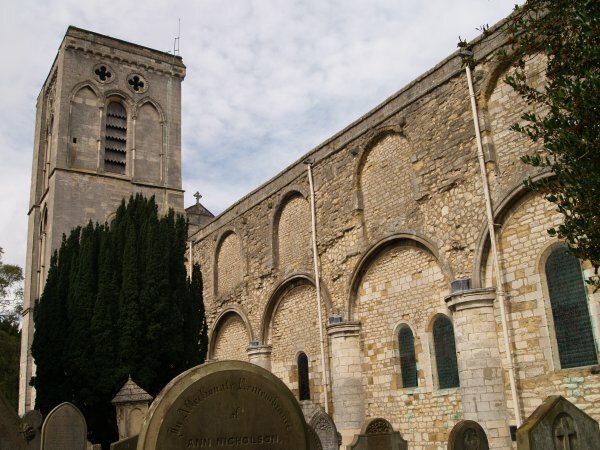 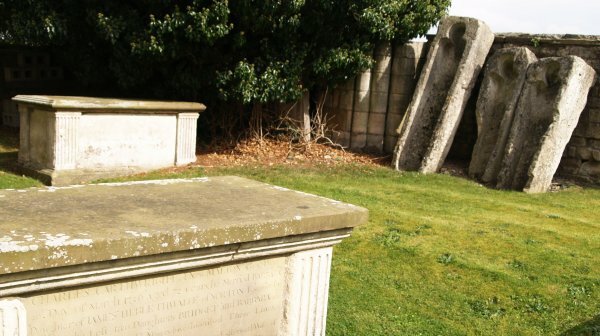 St Mary's Church, Old Malton: On the left some 18th-19th century coffins and on the right some medieval stone drying coffins at the east end of the Priory. 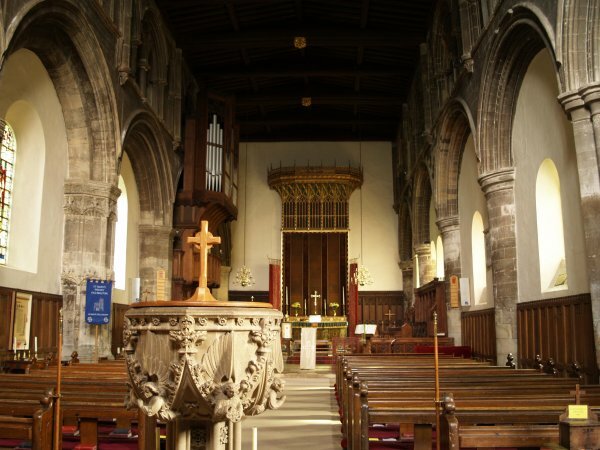 St Mary's Church, Old Malton: Looking down the nave between the Norman arches towards the altar. 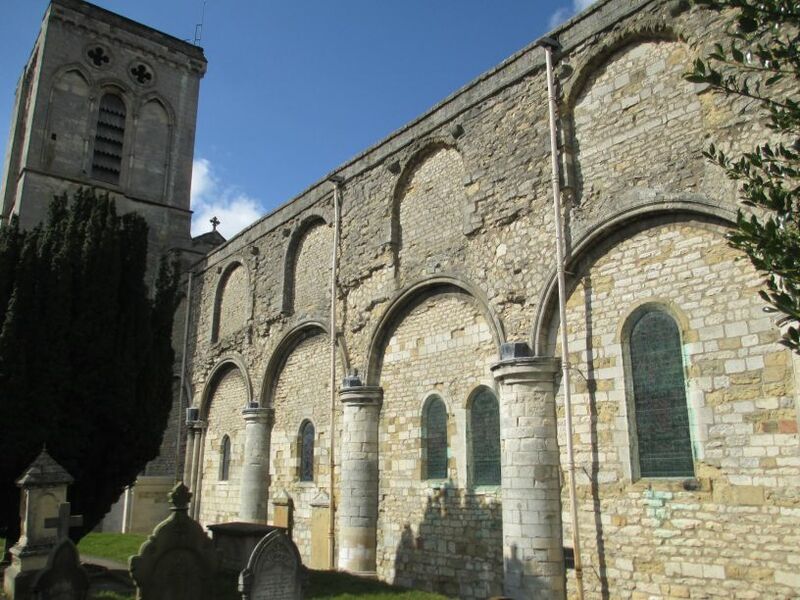 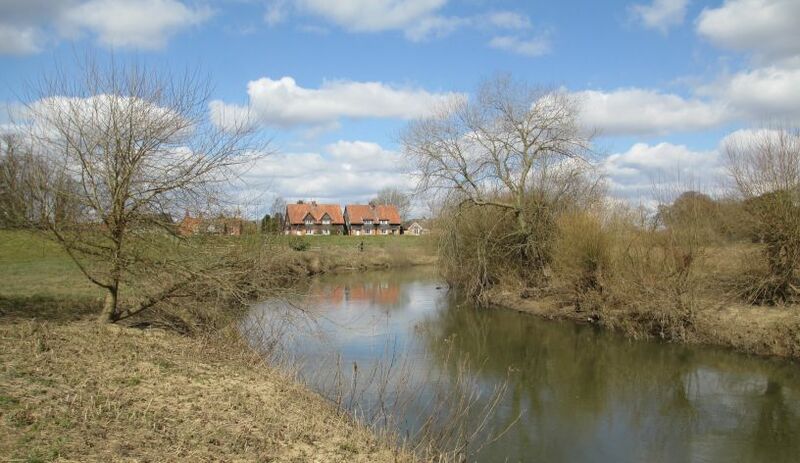 The priory was founded between about 1147-1154 and the church still flourishes today as a place of worship. 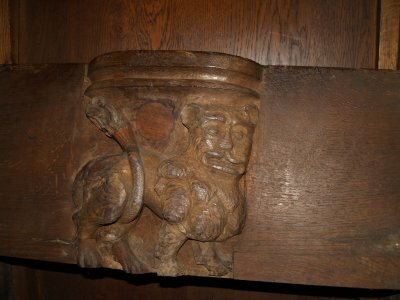 Note the wonderful carving of the pillars and capitals of the arches of the nave. 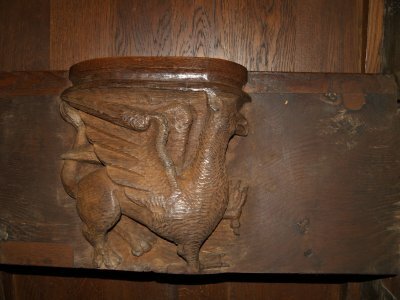 St Mary's Church, Old Malton: Misericords on the undersides of the seats of the choir stalls. 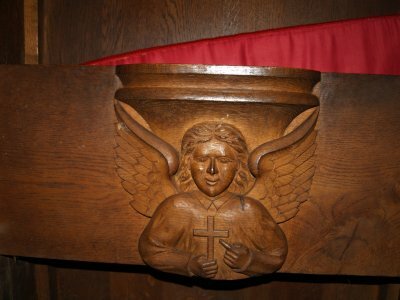 These are the top five of the left hand choir stall. 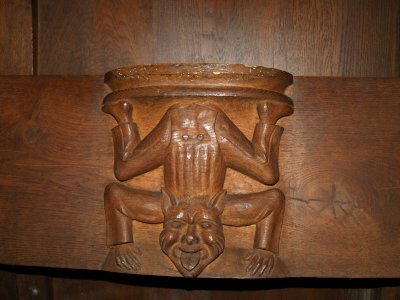 Strange animals in some cases. 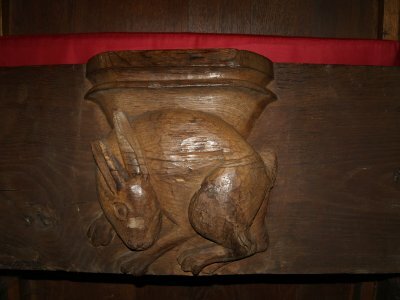 Three of the ones look much older than most of the other misericords and may well date from as early as the 16th century? 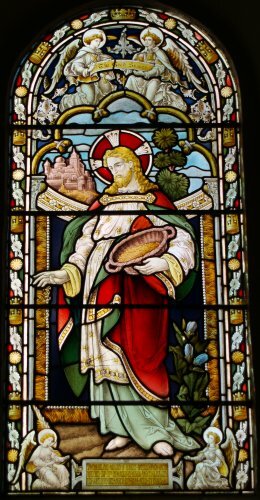 Examples of the fine stained glass in St Mary's Priory Church, Old Malton. 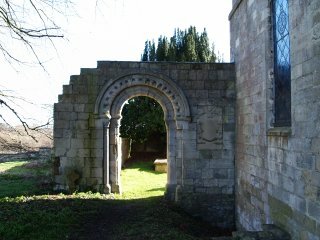 St Mary's Church, Old Malton: A small arched doorway, a fragment from the once much more extensive buildings of the priory around the main church. 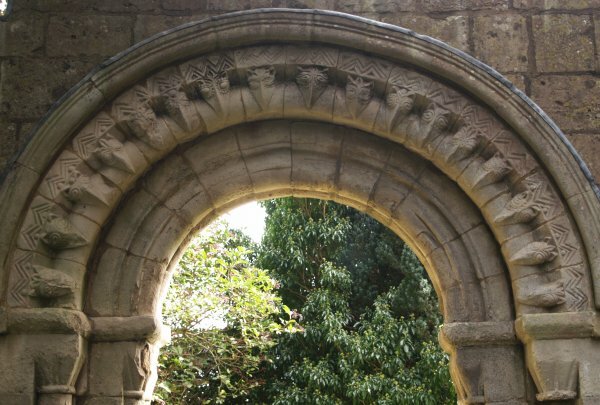 This arch has been erected north of the present east wall and has well preserved beakhead decoration and zig-zag chevron carvings above it - this is classic Norman moulding and a little gem! 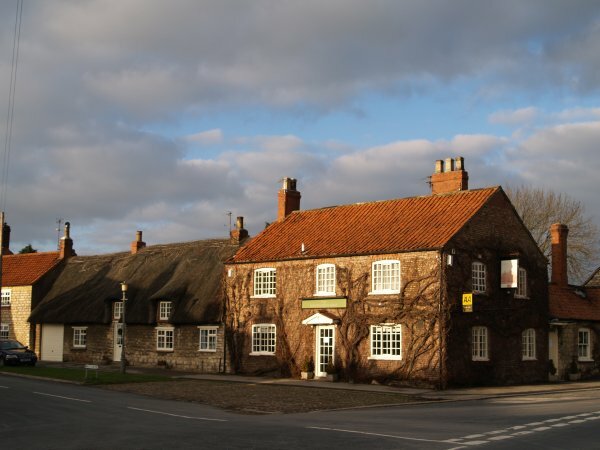 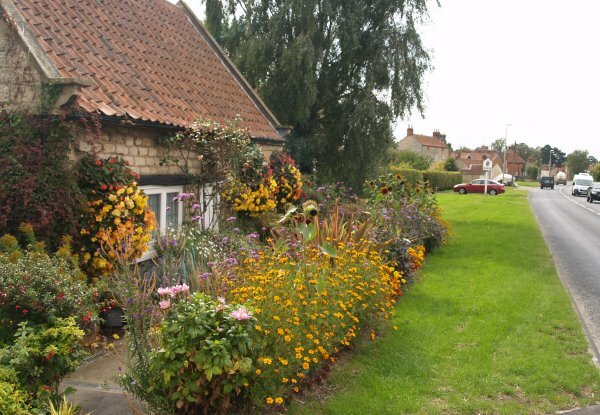 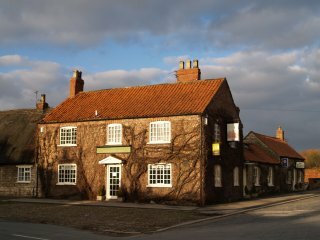 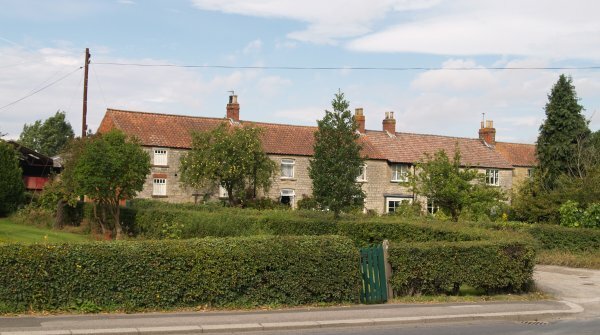 Old Malton, North Yorkshire, Northern England: The Wentworth Arms Inn and Restaurant is situated in the old village of Old Malton across the road from the old school. 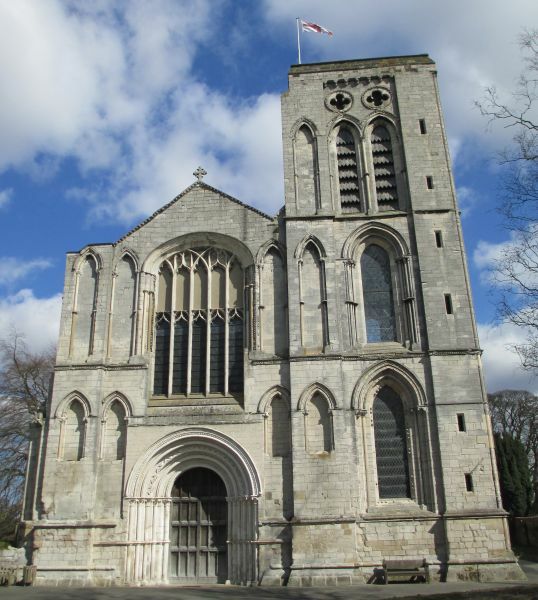 The magnificent priory church is well worth a visit and please leave a donation i.e. 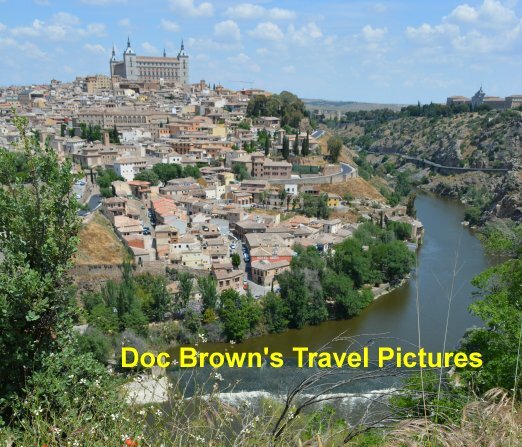 buy the guide! 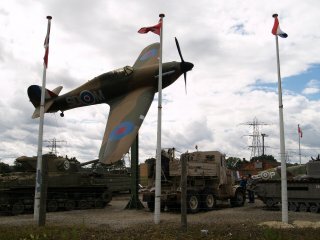 Across the nearby busy A64 York-Scarborough road is the Eden Camp war museum.